We’ve been a family-run business for over 30 years, working together with our store partners to provide the best value optometry, audiology and other healthcare service for our customers. 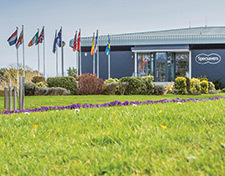 You’ll find us in the UK, Ireland, Netherlands, Norway, Sweden, Denmark, Finland, Spain, Australia and New Zealand, employing over 32,500 people who work across our 1,978 stores, as well as in our support offices and throughout the supply chain. We’ve changed quite a bit since starting out in the Perkins’ spare room. 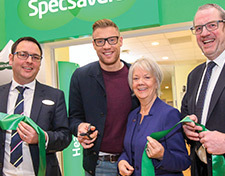 Take a look at the Specsavers story so far. 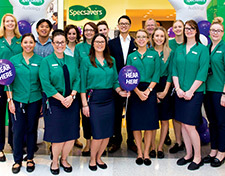 Our joint venture partnership model means that all the opticians and audiologists in our stores can concentrate on doing what they do best. 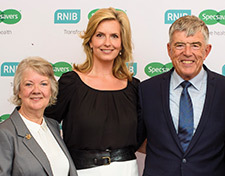 Learn more about the Specsavers Partnership. Wherever in the world we operate, we’re committed to giving back and working with local communities. See what we’ve managed to achieve so far. 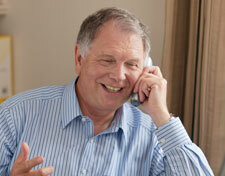 Find out how to get in touch with us if you have any questions or queries you’d like to make. Download a copy of our Annual Review 2017-18. Download a copy of our gender pay gap reports. See our 2017-18 slavery and human trafficking statement. Find the contact details and addresses of our UK offices here. Find the details for our Press Office for any media enquiries.